One and half year after the accident, at the end of summer 2012, the DPJ government all but decided to reduce nuclear energy down to 0% by the end of the 2030s. Moreover, the government all but decided to terminate the country’s nuclear fuel cycle program, meaning specifically the scrapping of the Reprocessing Plant in Rokkasho-mura (Aomori Prefecture)　and the “Monju”, a prototype fast breeder reactor (FBR) under development in Tsuruga (Fukui Prefecture). In fact, they intended to take an official decision along these lines at a Cabinet Meeting scheduled in mid-October, in spite of fierce objection from the business circles spearheaded by the Nippon Keidanren and Japan Chamber of Commerce & Industry on the grounds that “0%” will seriously weaken the country’s international competitive power, thereby endangering its economy and industry struggling to recover from the “lost two decades” of stagnation. Then, suddenly at the last minute, the government gave up taking an official Cabinet decision along those lines. They never really explained why they did so, but it is obvious that their “0%” policy met strong objection and protest from various domestic quarters, especially from Aomori Prefecture hosting the Rokkasho Reprocessing Plant. The governor of Aomori and mayor of Rokkasho threatened not only to stop accepting further shipments of spent nuclear fuels but also to send the fuels already accepted back to the original nuclear power plants throughout the country. The governor even went as far as threatening to reject high-level radioactive wastes resulting from the Japanese spent fuels reprocessed in France and the United Kingdom under commercial contracts. Their violent reactions are fully justified because there has always been a definite understanding over the past two decades between the central government and the local government of Aomori. Both France and the United Kingdom, for their part, lost no time in voicing their own concern over these developments. The more powerful reaction, however, came from the United States, Japan’s longtime ally. When the two top politicians of the DPJ were dispatched to Washington in early October, shortly before the scheduled Cabinet decision, to explain the rationale of DPJ policy, they encountered straight forward skepticism and complaints from the Americans they met. Some of American apprehensions were already made sufficiently clear in the Richard Armitage-Joseph Nye Report published in mid-August 2012 by the Washington-based Center for Strategic and International Studies. Entitled “US-Japan Alliance: Anchoring Stability in Asia”, this high-profile report warned in unequivocal terms against the proposed “0%” policy which, in their analysis, would inevitably weaken Japanese national strength as an “anchor” in the Asia-Pacific region where the fast surge of Chinese power has been causing much instability in the regional strategic environment. Needless to say, the United States, under the second Obama administration, needs a strong-- or even stronger-- Japan as an ally as the U.S. is shifting its military power more to Asia and the Pacific from the Middle East. The Japanese politicians dispatched to Washington, as well as their colleagues in Tokyo, should have known better. I am convinced as firmly as ever that Japan cannot afford to run the risk of undermining the US-Japan security relationship particularly at a time when Japan is faced with chronic territorial disputes with China and South Korea, not to mention Russia. The Americans are worried especially about the DPJ proposal to abandon Japanese nuclear fuel cycle program. They have their own headache of nuclear waste disposal due to the forced closure of the geological repository project at the Yucca Mountain site (Nevada) in 2010. Up until the Fukushima accident, Americans seemed to be interested in the Rokkasho Plant as a possible model of solution of their own problem. Without the effective solution of spent fuels, nuclear power plants cannot continue operation for a long time---the situation often described sarcastically as “toire-naki manshon”(apartment without toilets) by anti-nuclear activists in Japan. Still another cause for American concern over DPJ’s zero nuclear policy is related to the problem of nuclear non-proliferation. If Japan should cease to be a major nuclear-energy country and lose her hard-won status as the holder of the nuclear technology considered to be among the highest in the world today, she will surely lose her ability and credibility to contribute to the international efforts to curb nuclear proliferation under the Non-Proliferation Treaty (NPT). The United States knows better than any other country that Japan, the only victim of nuclear holocaust in 1945 and yet committed so firmly to the self-imposed obligation not to use nuclear energy for military purpose, has long played a very unique and valuable role for building global nuclear non-proliferation regime. Japan has earned a reputation as a highly respected member of the International Atomic Energy Agency (IAEA), accepting, as she has done, “full-scope” safeguards/inspection based on the NPT. Having been involved personally in the development of the global safeguards/inspection system since the 1960s, I do fear that this valuable contribution by Japan over more than half century since the inception of the Agency is little noticed or appreciated by my fellow countrymen, even students of international politics, because the system is so complicated and so esoteric an area that only handful of qualified experts can fully comprehend and because news coverage by the local media is always miserably inadequate. In order to understand the serious nature of this particular problem, just imagine a future international scene where civil nuclear energy activities are carried out by only the five declared nuclear-weapon States and two undeclared States---India and Pakistan, together with an increasing number of non-nuclear-weapon States, both developed and developing, with China, Russia and France playing a predominant role in international market as the major suppliers of reactors, fuels and technology. To put it bluntly, these three countries, especially China and Russia, all exempt from compulsory IAEA safeguards obligations under the NPT, are very eager and aggressive to sell their reactors and technology, often without requiring their customers to accept stringent obligations based on NPT-IAEA standard. Russia’s nuclear sales to North Korea and China’s to Pakistan in the 1970-80s are only a few such bad examples. Americans are rightly worried about the possibility of looser application of non-proliferation requirements in international nuclear market leading to the eventual collapse of NPT/IAEA regime and the wider spread of nuclear weapons capabilities. As a faithful supporter of the said regime and a strenuous contributor to strengthening it in the past, Japan can never be indifferent to the American concern and their apocalyptic predictions. Now this brings into picture another crucial problem often overlooked in domestic debates: the negative impact on Japanese ability and credibility to export her own reactors. At the moment, the three big nuclear manufactures, Toshiba, Hitachi and Mitsubishi, are striving to sell their commodities produced by their world’s first rate technology independently or in close collaboration with American or French counterparts such as Westinghouse, General Electric or Areva. Japan already obtained the promise of the Vietnamese government to purchase two Japan-made reactors for its Nhin Thuan NPP-II scheduled to go into operation in early 2020s. The promise was signed between the two countries on October 31, 2010, just four months before the Fukushima debacle. After the 3.11 accident, the Japanese government was forced to freeze all the measures to implement the agreement with Vietnam under mounting domestic pressure to suspend nuclear exports to Vietnam and several other countries with which Japan had been negotiating to conclude bilateral agreements necessary for such exports, although the cooperation agreements signed with Vietnam, Jordan, South Korea and Russia were finally approved by the National Diet in December 2011 and ratified subsequently. Naturally the Vietnamese government has been urging Japan to expedite necessary processes to build nuclear plants according to their original schedule. The prime ministers of both countries have since reaffirmed their commitment to early implementation of the agreement, but domestic opposition is still persistent even within the ruling Democratic Party. Dissident MPs argue that when Japan is moving toward “nuclear 0%” at home, there is no moral justification whatsoever to export Japan-made nuclear reactors to foreign countries. Dream may come true for nuclear plants in Vietnam? Very recently, however, it is reported that local objection to nuclear power plants is gradually surfacing in Vietnam, notably within its National Parliament. It is argued there, reportedly, that Vietnam is not quite ready, economically, socially and technologically, to embark on such gigantic and sophisticated technical enterprise as nuclear plants construction requiring both a vast amount of initial investment, and the advanced legal and social infrastructure to ensure nuclear safety and liability/compensation in the event of major accidents. It may well be recalled in this context that the proposed “Bullet Train” project connecting Hanoi and Ho Chi Minh City was rejected by the Parliament in 2011 as being premature for a poor country such as Vietnam. Personally I find the current situation in Vietnam very regrettable, as I have spent more than thirty years since the late 1970s in advocating the importance of civil nuclear energy among countries in East Asia including Vietnam and Indonesia in particular. During my tenures as the first Director of Nuclear Energy Division of the Foreign Ministry (1977-82) and the Executive Director for the Japan National Committee for the Pacific Economic Cooperation Conference (PECC) preceding the APEC (1982-89), I kept proposing the establishment of an ASIATOM, a regional body to coordinate and promote cooperative activities within East Asia in close liaison with IAEA. My own proposal became widely known within the region and even enjoyed the enthusiastic support by a number of influential leaders in various countries in Asia and elsewhere. I even drafted the treaty establishing ASIATOM and circulated it to several countries expected to join the new entity. Unfortunately, however, my proposal, a rather historic one if I may say so, did not go much further after I left the Foreign Ministry in 1989. My successors shifted the focus of their policies to something else. These things do happen in bureaucratic system in a country like Japan. For those who are interested in this subject, please refer to my book “Nippon no kaku; Ajia no kaku” (Nuclear Energy for Military and Civil Uses in Japan and Asia”) published by Asahi Shimbun in 1997, particularly Chapters 5 and 6. While I have the opportunity to restate the original concept and the basic philosophy of my proposed ASIATOM, let me say a few more words. It is granted that the basic concept of ASIATOM has become somewhat obsolete, overtaken by subsequent events. Yet some of those ideas are still valid and useful, I believe. For instance, if Japan maintains its nuclear fuel cycle program intact and if Japan builds a second Reprocessing Plant in Rokkasho-mura, roughly of the same capacity (800tons per year) as it was envisioned prior to the Fukushima accident, then Vietnam in the future will be able to get their spent fuels reprocessed in Japan in accordance with international rules and IAEA safeguards, thereby helping solve their problems of spent fuels management. Indeed, by that time in the future the second Rokkasho Plant, at least part of it, may be placed under multilateral control which might well be called “ASIATOM Regional Nuclear Fuel Cycle Center” as originally conceived. Likewise, other Asian countries already engaged in civil nuclear program, such as South Korea or Taiwan, can also get their spent fuels reprocessed in Japan provided that they get American approval. Especially South Korea, which is currently in the middle of hard negotiations with the United States over the reprocessing issue, will be able to benefit from the services to be offered by the second Rokkasho Plant under ASIATOM. If their issue is resolved satisfactorily in one way or another between the two countries concerned, that is fine with me. If not, some other solution will have to be worked out before 2014 when the present ROK-US Agreement expires. What has been suggested above may therefore warrant a serious consideration. God knows. Soon after I started writing this article, the Lower House of the Japanese National Diet was dissolved suddenly on November 16, 2012 and the general election will take place on December 16. It is generally speculated that nuclear energy, be it DPJ’s “0%” or “status quo” favored by other political parties like the Liberal Democratic Party (LDP) and the brand-new Party headed by Shintaro Ishihara, former Governor of Tokyo, will be one of the major issues to be contested in the campaign. Japanese electorates are finally given an opportunity to dictate their government to do what they really want it to do. While it is too early to predict the outcome of the election and the type of a new government, this much can be said safely at this juncture. The “0%” nuclear policy coupled with the abandonment of nuclear fuel cycle program, if formalized or codified by the new administration born after the election, will turn the tide drastically, paving the way towards Japan’s gradual but eventual fall. Japan will never be able to restore her “No. 1” status earned by so much hard work in the post-WWII period. I am neither a pessimist nor an alarmist by nature, but this time I am deeply worried about the future of Japan. Japanese people should always bear in mind the historical fact that Japan succeeded in overcoming the enormous damage of the two oil crises in the 1970s only with the help of nuclear energy which had provided Japan with adequate, reliable and relatively inexpensive electricity. Of course, we must not forget the price we paid and the pain suffered after the Fukushima catastrophe. But we, as members of civilized society, must be able to distinguish between (1) human failures, largely on the part of electric power companies and the regulatory authorities, and (2) the intrinsic usefulness of nuclear energy for our well-being and economic prosperity. Nuclear energy per se is not to blame, whereas human failures are to blame and be duly punished. What is now required of Japanese people is to extricate themselves as fast as they can from the traumatic state of mind, restore self confidence and begin to think ahead of time far beyond Fukushima, so that they may be spared yet another national catastrophe no doubt far more devastating in the future. Professor Kumao KANEKO, President, Japan Council on Energy & Security. An ex-career diplomat, the author was the founding Director of Nuclear Energy Division of Japanese Ministry of Foreign Affairs. In that capacity, he negotiated with the US Government (under Presidents Carter and Reagan) regarding the Japanese nuclear energy policy, especially nuclear fuel cycle program in the 1970-80s. 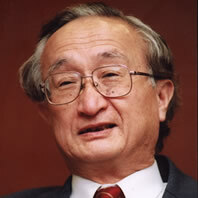 He taught international politics at Tokai University after his retirement in 1989. He received LLM degree from Harvard University Law School in 1966.